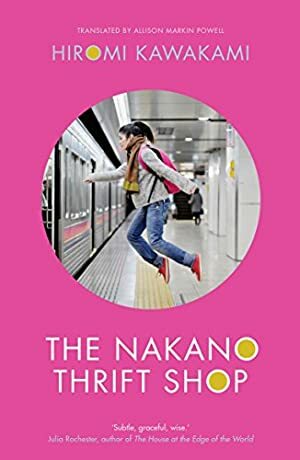 When Hitomi takes a job on the cash register of a neighbourhood thrift store, she finds herself drawn into a very idiosyncratic community. There is Mr Nakano, an enigmatic ladies' man with several ex-wives; Masayo, Mr Nakano's sister, an artist who has never married; and her fellow employee Takeo, a shy but charming young man. And every day, customers from the neighbourhood pass in and out as curios are bought and sold, each one containing its own surprising story. When Hitomi and Takeo begin to fall for one another, they find themselves in the centre of their own drama - and on the edges of many others. Log In to track Hiromi Kawakami on eReaderIQ. to be notified each time the price drops on any book by Hiromi Kawakami. to stop tracking Hiromi Kawakami. Log In to track Allison Markin Powell on eReaderIQ. to be notified each time the price drops on any book by Allison Markin Powell. to stop tracking Allison Markin Powell. We started tracking this book on August 24, 2016. This book was $12.72 when we started tracking it. The price of this book has changed 22 times in the past 969 days. The lowest price to date was $9.99 last reached on October 9, 2018. The highest price to date was $17.39 last reached on May 6, 2017. This book has been $17.39 one time since we started tracking it.